balaclavas? Not to be confused with baklava. While both are fabulous, only one will keep you hot on a frigid day. So what if it's May. Now's the time to start making yours for next winter! 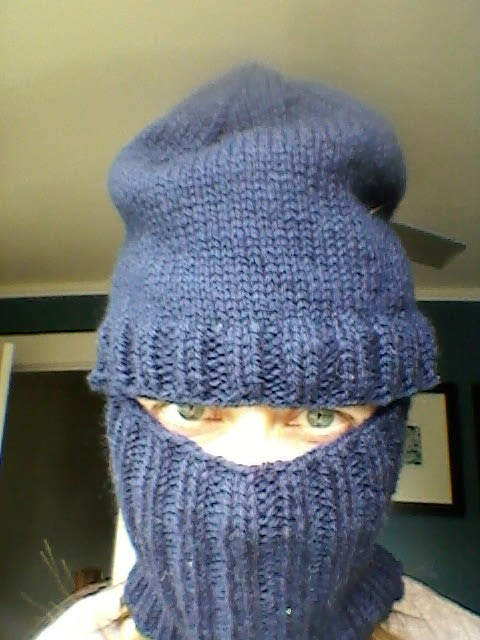 Because who doesn't need a balaclava? They are great for keeping you warm. 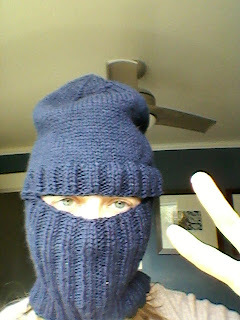 (especially when made of wool like this one.) And hiding your identity and... to be honest. I don't know what else. I made this balaclava for my friend Ad. My bad it took so long to finish and so long to get sent. Ad I hope you like it... and one day it's cold enough that you get some use out of it!! Just not one day any time soon.